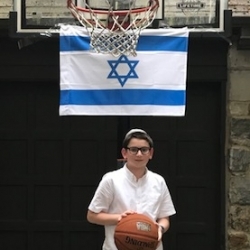 My name is Izzy and I am becoming a Bar Mitzvah this summer in Israel. I am raising money for Shalva to help kids that have real difficulties in their life. Please help me help them. Thank you. RACHEL COHEN 54 USD Mazel Tov Izzy!